My Tale of Two Cities | Thoughts of a Calabarboy. 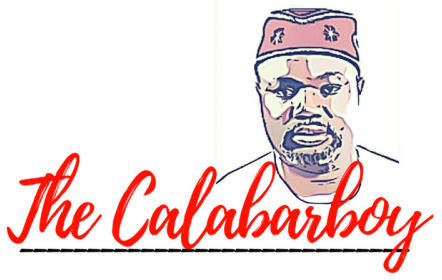 My Tale of Two Cities – Thoughts of a Calabarboy. My title of course will quickly bring to mind the 19th century work of Charles Dickens. Though I am interested in looking at two cities, where I have lived and socialized, my least intention is to follow the Dickens path of analyzing Aristocratic oppression of the Proletariat, although I must admit it does exist in my cities of interest. My motivation for blogging this piece stems from my recent travel to Nigeria for family matters. While I was overwhelmed by my several obligations to the family cause, I could not but take out time to observe my surroundings and opinionate as I usually do in my bloated mind. My first destination in Nigeria was Lagos, from where I proceeded to Calabar for my other engagements. These two cities form my steal from the old time classic, but as I had earlier noted, not to paint an effusive political drama, but to highlight some of my thoughts on the present in the development of the two cities. While both cities are painted with the strokes of a colonial monologue, there seems to be a dialogue between the people and their heritage of the foreign outplay of power and influence. A lot of the streets are still brandishing English names such as Goldie Street, Hewett Street, Garden Street, Edgerton Street, and Beecroft Street, all in Calabar. In Lagos we see streets such as Cameron road, Glover road, Bourdillon road, Campbell Street, King George IV road, et cetera. These are all tangible vestiges of British foray into the cultural discourse of the people there. I am however not interested in a historical excavation, but in a contemporary juxtaposition of my greatest influences in terms of socialization. I was born in Lagos and raised in Calabar, and socialized in Lagos again. Does that say anything to you? Sometimes I ask which of these two environments shapes my public outlook, because I seem to muddle them all up. I most times trudge with the laid-back character of the Canaan city, at other times bubble with the cosmopolitanism of Eko, and sometimes I oscillate between the two, creating a mild tempered characterization of the city life. I however always deny the pixilation of my physical outcome when viewed in the light of my growth in these two cities. Calabar has etched within my heart the love for culture and finesse, while Lagos has knocked within the survival instinct and need for creativity. But far from codifying my internal ramblings as a basis for this discourse, I am far more interested in what these cities have become today, and the seeming future they portend from their current developments. I have seen that within the past decade, there have arisen men of passion and vision in both cities. Interestingly, they came in political succession with one ending an era and the other beginning a new era. The transformation of the city of Calabar in eight years has much to discuss, especially now that it has become a tourism hub and a flamboyant cultural end-of-year destination for the young and the young at heart. Prior to 1999, the city was a reflection of what I left behind in 1993. Nothing was there to be desired but pretty and shiny skinned young ladies who could mesmerize and tantalize with total female power. Men traded their destinies for a hot bowl of Eba and Afang soup, while submitting their senses on the laps of ‘femaledom’ for a hair-cut most never recovered from. The roads were at most bush paths and the people cared less but to merely survive and have their usual pleasures. The damaging effects of Militocracy had left the people without a rallying point for values, and the cultural leaders were bereft of ideas on how to aggregate communal riches. All that we could append to the identity of the city was that if you wanted to do nothing, go to Calabar. However, I must give it to Calabar. The people can sing and are born with music in their psyche. Of course I wasn’t left out of the baptismal antecedents of a melodic nature. From the dusty roads of Ikang to the scenic wonders of Old Calabar cutting through Duke town, the city was crying for restoration. However, by 1999, “along came a Spider” (remember that good movie by Morgan Freeman?). A Spider suddenly appeared on the scene with a careful plan of spurning an intricate web of identity for an erstwhile redundant city and state. Through a conscious plan and strategy, this spider at the very corner of the country created a sensible web-like system that has captured many hearts and now it has become an attractive place of solace and relaxation to many. I went back to my beloved city in the year 2004 and was slapped in amazement of what I saw. Not all was awe striking, but it was enough to parade an effective public servant at the helm of affairs. There was a glitter about the roads as though placing my feet on them would create an irreparable stain. There was a sense of restored dignity in the air, and people went around with such annoying confidence as though saying: “This is Calabar better get it!” There was the glowing of excellence in the way the people now appeared and conducted their ways. Everything and everyone everywhere tasted and smelt good. Suddenly, something that wasn’t part of my socialization process in the city, jumped upon me: Pride. I quickly added that to my arsenal of community traits. My beautiful Calabar was once more being adorned as a beautiful bride and how I longed to flirt with her once more. My relationship with Lagos was a love hate one. I loved it because of the rush of adrenalin each day you flow along, but hated the noise and disorder. It was a city without law, and the law was without a city to own. It had degenerated into the playground of disgruntled young men and women of the delinquent order and anything happened to anyone and anyone happened to anything. In Lagos, if you could think it, you could do it. So all kinds of machinations coloured the predominant life and its identity was one of near debauchery. I lived in Lagos Island, Campbell Street to be detailed. Thus I studied the real Lagos life from Marina down to Idumota, all around the precincts of Isale Eko. The people reveled in wanton living after the pattern of mental poverty. The poor and jobless celebrated with more parties that the rich in the High-walled suburbs. Lagos was utter confusion. As soon as you come into the city, disorder infects you like a bad fever, and you just can’t understand why. Even on your way to church you practically drive like a commando or mercenary while brandishing your bad tongue at every counter move from another Danfo bus driver. The city changes people from refined to brutish and cultured to barbaric. But on my visit last December, I smelt something else in the air. I heard a guy came to town with the passion of a raging bull to pull down aforetime hindrances of disorder and give the city a new identity. The cliché “Eko o ni baje oh” (meaning Lagos wouldn’t be spoilt) was pungent in the aura of Lagos. I could see that people’s attitudes had begun to change and order was seeping out like water looking for the least resistance in its path. One man suddenly had begun to articulate what he saw in his mind and translating it into concrete actions. My famous CMS and Marina had become clean and cleared. I imagined that once more, young men and women could dare take their love walks along the banks of the Marina without the fear of being mugged by area boys. There were city buses with dedicated lanes taking hard working men and women home after a long day, and the traffic officials were authoritatively doing their jobs and creating free flowing vehicles from the business hubs to the mainland. Lagos is changing. Coupled with this is also the rise of the middle-class in the city. Many young people landing good bank and private jobs with relatively decent pay to create a social network and net worth that creates a new kind of demand and supply in society. Modernism is defining transaction and entertainment, as well as cultural interplays. Lagos is indeed remaking itself as a major distributive center for the national identity once more and the feeling was quite exhilarating for me. This is the city I was born in and found my true self. How I wish I were born in a time like this. My tale of two cities comes from love for Calabar and Lagos. I am glad to be breaded and buttered in them. Although I lost my desire to always be in them and feel their ebbing emotions, I am excited that I am gradually finding again a place in my heart for them. Thumbs up to the Spider and the Bull, for catching a vision and running with it. History will always give them a spot to tell their victorious stories of what they contributed to my loves. But I must warn here that it takes a long time to put up a structure, but it takes no time at all to pull it down. As the Spiders web is easy to tear, so does the Bull’s strength easily wane. For those of us who have a stake in these two cities, let us see how we can match the performances of these two characters. For as something in them loyal to their respective cities drove them to high performance, let us who watch them match their efforts and take the next step in enhancing their legacy and building a lasting heritage for our cities. This is my tale of the two cities I love so much. Oh! wht a wonderful story tale here.It really amaze me how u were able 2 put together this amazing and fascinating tale.Bravo reggie.U re one in a million. Brilliant piece of work from Bilal, would like to work with him in future, nice one reggie, stay focused, you’re goin some place big, sir. peace. nice piece…its always good to read a piece from someone who can pen his thoughts articulately like you have done. na so, nice piece-u can say dat again: along came a spider. his specie can b likened to d tarantula with his/its deadly strike. nice one-calabar boy. as said u r goin somewhere big nd as papa wld say we are not surprised, infct we wld b surprised if it wasnt happening dis way. i wish a spider, bull or event an ant will arise in my beloved little city Aba. Great article Regg!! I truly stopped by to read this tale of two cities that’s truly become your love especially the wonder at least in Nigeria called calabar. I must say this is a piece beyond the obligatory mile. This is a developmental piece that falls within a genre called development savvy. Sir i think you have a calling either major or sub in writing developmental pieces ( diagnosis from a self discovery expert in the making). Thumbs up for a writing spider. Many should read things like this to take their creativity beyond the obligatory mile. Alagbe Steven ( Revo squad commandant 2007/08) . This piece evokes a feeling of patriotism. Left in the dusty archives of my inbox for over six years, I lazily perused it due to idleness; and frankly, I am glad I did. @Reggie, you didn’t need to be born when great thinkers, writers, philosopher’s, etc. roamed and shaped this space we christened ‘earth’; but you’re my Charles Dickens. Cheeeers! Awesome! Almost as if I wrote this myself except for the parts of actually visiting the two places viz Lagos and Calabar lately. I too was born in Lagos, but raised in Calabar. I can perfectly picture the scenarios you narrated. I’ve heard a lot about the changes, and was amazed to recently find out that a lot of the people from my past are actively connected to the internet via Facebook, etc. And I actually get to see a lot of cultural displays via YouTube! Unbelievable! In my time, people were scared stiff of the Ekpe Masquerade. But The YouTube impression shows a different attitude completely. Some people actually stand before an Ekpe masquerade with trousers on? 😮 That was a no-no before (unless you put a little handkerchief between your waist). By the time I left Nigeria too, telephone was still a luxury! I can’t wait to revisit my home. I need to see the changes with my own eyes.